The Friendly Fire Podcast on Maximum Fun! 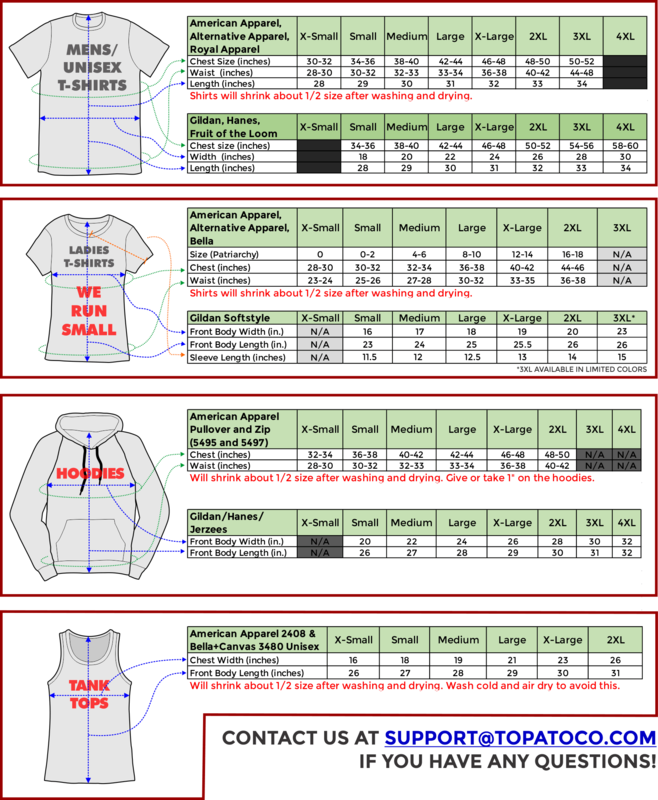 Mens/Unisex shirts are printed on American Apparel or Royal Apparel 5051, and Ladies shirts are printed on Gildan Softstyle (64000L). 3XL and 4XL may be substituted with a different brand. Not sure what size you need? We have all these size charts! Always order up a size if in doubt.